As her colleagues have who are on this year's ballot, Elk Grove Council Member Stephanie Nguyen continues fundraising efforts as the November election quickly approaches. In disclosures filed last week with the Elk Grove City Clerk's office, Nguyen reported two donations from real estate interests. Those donations of $4,750 and $2,500 came from the Committee for Home Ownership of the North State Building Industry Association and the Rental Housing Association of Sacramento Valley respectively. Although the North State Building Industry Association has been a regular player in Elk Grove, the Rental Housing Association has had a less frequent presence in the Elk Grove political scene. The Rental Housing Association is part of the much large California Apartment Association (CAA) following their February 2018 merger and represents landlord interests. 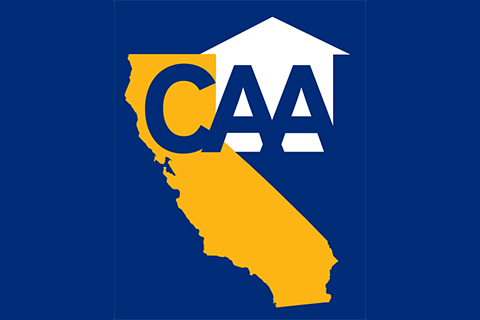 According to their website, the CAA is the "nation’s largest statewide association serving the rental housing industry. Its membership includes over 13,000 single-family and multi-family property owners and managers, as well as businesses providing products and services for the industry." The CAA has been actively involved in the volatile fights on statewide rent control efforts and the City of Sacramento. In Sacramento, the CAA has opposed rent control efforts led by Mayor Darrell Steinberg that would place temporary rent increase limits on rental units more than 20 years old. Statewide, the organization is opposing Proposition 10 on this year's statewide ballot that would repeal the Costa Hawkins Rental Act which put limits on local government rent control ordinances. If approved, Proposition 10 would allow cities and counties more power to implement local rent control measures. Perhaps with an eye towards to the future should Proposition 10 pass, the Sacramento chapter of the CAA is letting its presence be felt with members of the Elk Grove City Council. Nguyen, who was appointed to the Elk Grove City Council District 4 seat in 2017 is being challenged by fellow Democrat Orlando Fuentes, who is a current director with Cosumnes Community Services District. Although his fundraising efforts have lagged Nguyen's, Fuentes has received assistance from Elk Grove Mayor Steve Ly who has built a slate to compete against an alliance of Nguyen, fellow Council Member Pat Hume and Vice Mayor Darren Suen who is challenging Ly.